When you are involved in a truck accident in Compton, CA, caused by a drunk, careless or negligent truck driver you are advised to seek legal advice and file a suit as soon as possible.To have your case handled effectively, you shouldn’t hire just any lawyer but a truck accident attorney in Compton, CA who has a deep understanding of the state’s accident law and the truck regulations too. We at Rawa Law Group are very well experienced in these cases. Our lawyers have handled these truck accident cases for over 10 years and in this span won hundreds of millions for our clients as compensation for their injuries and losses. Why Rawa? Simply because we are a 5-star law firm in California and we have a deep resolve to help accident victims. Our expert lawyers are friendly, personal and professional. They are able to aptly cover all vital areas needed for your case and have the tact to ensure we help you maximize your settlement. Claimants in Compton who require the legal services of an expert law firm with a good track record are in great hands. 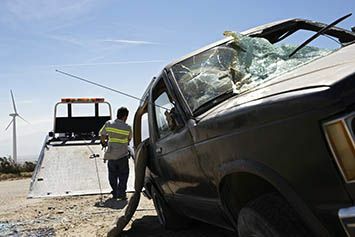 For clients unable to make it to our office in California and would like us to come to their place of residence or hospital where they are undergoing treatment, we can have one of our truck accident attorneys in Compton over to listen to you and extract as much information needed for your case. We are offering you free case evaluation and zero upfront payment. Contact us today to get started.